Digisims has been in the business of sports simulations for around 10 years. Our cricket engine has garnered much praise and has gone on to become the simulator of choice for some of the webs' biggest fantasy leagues, including: Planet Cricket, PakPassion and Cricistan. Share live match commentary with your players & fans so they can experience the action ball by ball. 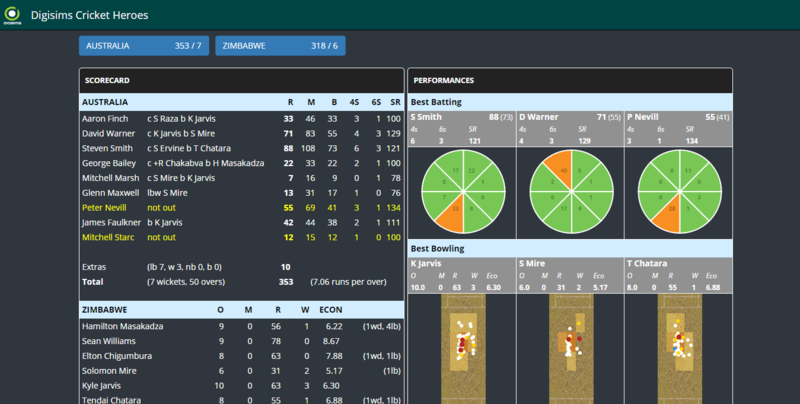 Every ball bowled is stored, analyzed and visualized. 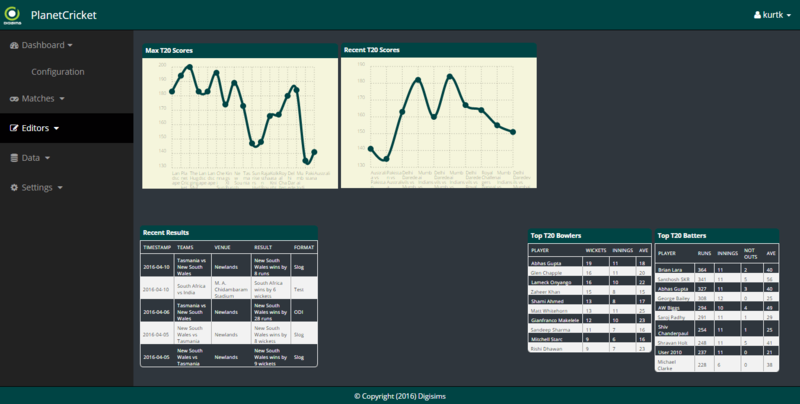 A flexible, programmable dashboard with support for various types of graphs. 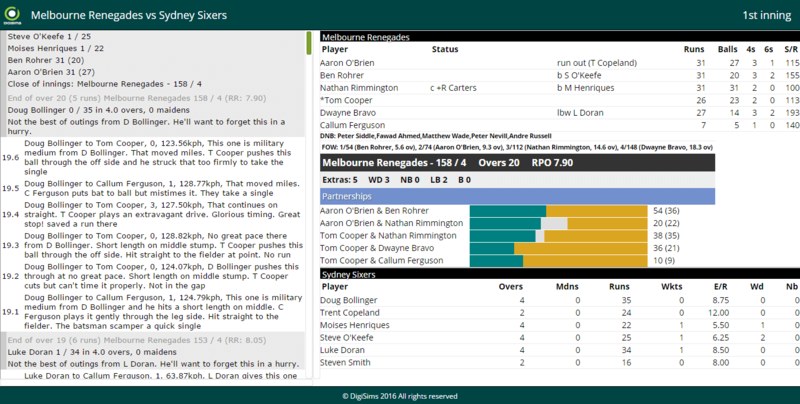 Select your teams, match format and knockout mode and Cricket Heroes will do the rest. NOTE: this simulator is in Early Access - there will be bugs/issues, but we will resolve these ASAP.